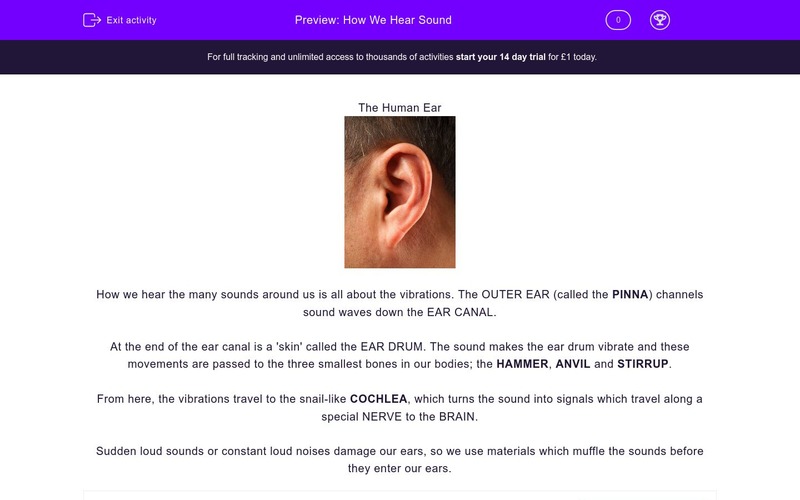 These questions test the student's knowledge of the human ear and how we hear different sounds. How we hear the many sounds around us is all about the vibrations. The OUTER EAR (called the PINNA) channels sound waves down the EAR CANAL. 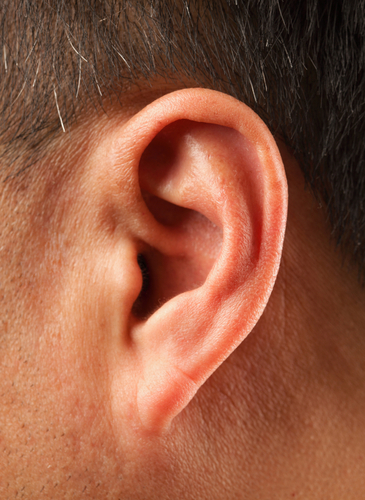 At the end of the ear canal is a 'skin' called the EAR DRUM. The sound makes the ear drum vibrate and these movements are passed to the three smallest bones in our bodies; the HAMMER, ANVIL and STIRRUP. From here, the vibrations travel to the snail-like COCHLEA, which turns the sound into signals which travel along a special NERVE to the BRAIN. Sudden loud sounds or constant loud noises damage our ears, so we use materials which muffle the sounds before they enter our ears. We need to protect our ears from which TWO of these? Which THREE of these bones are found in the ear? What happens to the sound vibrations when they reach the COCHLEA? Loud noises can damage our ears permanently - and we can't grow another pair! Look after your ears. The outer part of human and animal ears collects sound vibrations and channels them into the inner ear. the cochlea is coiled - like a snail! Our brains are really clever, they 'make sense' of the nerve signals so that we can hear - yes even Dad's singing!